How do you describe the major cities in Germany? By size, attractions or popularity? Here you get quick info about the largest German cities: Berlin, Hamburg, Cologne, Frankfurt and Munich. Plus, I introduce you to less-known places, including my personal favourite cities and towns. German cities have an interesting history, and often a well-preserved historic centre, die Altstadt (old town). Impressive town halls (Rathaus), ancient churches and medieval fortification walls. There is a lot to discover for visitors interested in history and architecture. Fountain of justice (Gerechtigkeitsbrunnen) at the Römer square in Frankfurt. But there is much more that adds to the fascination of the major German cities: museums and culture, great shopping opportunities, thriving nightlife and lots of fun! What are you waiting for? Find the German city you would love to visit! Four cities have a population of over 1 million (December 2014), yet another ten cities have more than 500,000 inhabitants. About 80 cities are called Großstadt with a population of more than 100,000. Don't nail me down on this list! When I start thinking, there are many more cities and towns I dearly love. I will definitely introduce you to all those lovely places in the future. 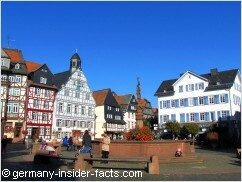 To jump to the quick overview of any of these German cities, click on a link above. The history of Germany's capital has been full of changes during the centuries. Berlin was capital of the Kingdom of Prussia (1701-1918), the German Empire (1871-1918), the Weimar Republik (1919-1933) and the Third Reich (1933-1945). After World War II East Berlin became capital of East Germany. West Berlin, well, it was an enclave of West Germany (but not the capital), surrounded by the Berlin Wall. 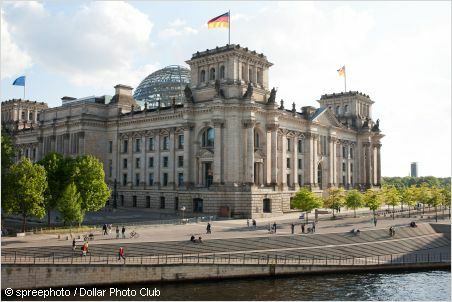 Since the German reunification in 1990 Berlin has been the capital of Germany again, although it took until 1999 that the German government moved from Bonn to Berlin. And yes, it is now the biggest city again, by size and population. One third of Berlin's area is covered by forests, lakes, gardens and rivers. It is easy to escape the hustle and bustle of the city centre and relax in the beautiful environments around Berlin. 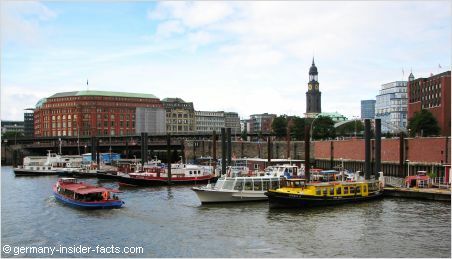 Hamburg, Germany's second largest city is also our "harbour to the world". Although the harbour on the river Elbe is about 110 km inland from the North Sea, Hamburg's harbour is influenced by the tides. The flood disaster of 1962 with a death toll of 315 in Hamburg actually caused more damage in the city than along the coastline. 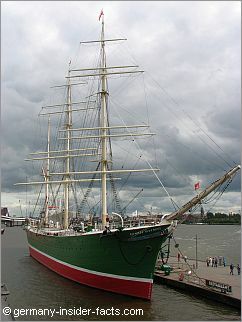 The harbour is one of the biggest attractions in Hamburg. During the 19th & early 20th century, the famous "Landungsbrücken" have seen millions of emigrants leaving Germany to make a fortune in the "new world" of America. The old store house district (Speicherstadt), the Reeperbahn (red light district) and the Binnenalster are famous places to visit. Well-known for the "Hofbräuhaus" and the "Oktoberfest" around the world, Munich is a popular tourist destination. Most highlights of Munich are within the old city centre, between the Karlstor and Isartor. 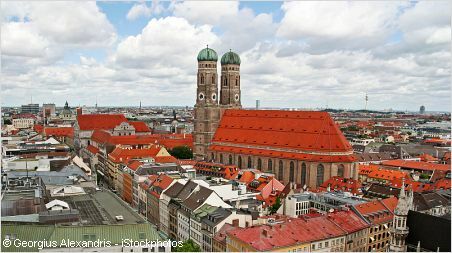 The "Frauenkirche" is the best known sight. Munich's heart is the Marienplatz with the new townhall in neo-gothic style. 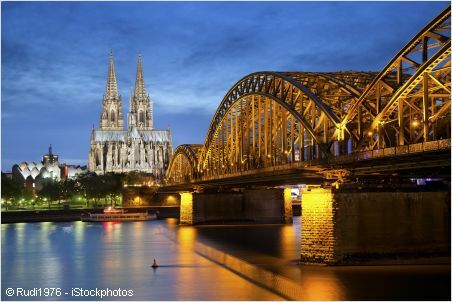 Cologne's landmark is the huge cathedral, the largest gothic church north of the alps. The twin towers are 157m high. Enjoy stunning views over Köln from a viewing platform on the southern tower. 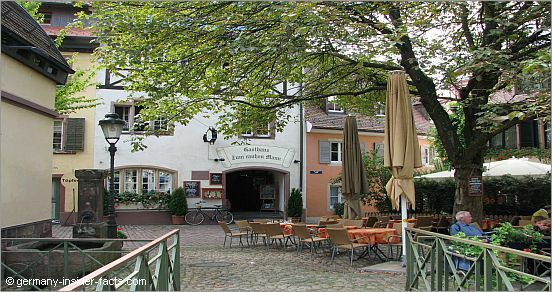 Stroll around the old town, and relax in one of the typical taverns over a local "Kölsch" beer. The cracy days of Kölner Karneval (carnival in Cologne) start on the Thursday before Ash Wednesday every year. Fancy dressed people party in public, street parades, and pubs that won't close for six days, carnival in Köln is one big party. If you don't want to take part in the fun, you better avoid Cologne during this week. When you visit Cologne in Dezember, don't miss the many Christmas markets in the city. 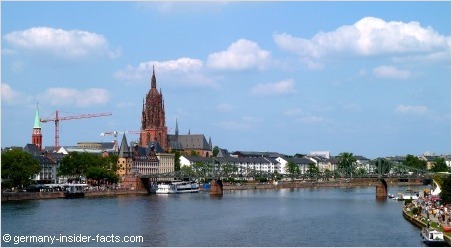 Frankfurt's importance as a trade centre dates back to the 12th century. Today it is the seat of the main national and European bank headquarters. The annual book fare (Buchmesse) is the largest in the world. Museums, culture, history and shopping opportunities abonund. Frankfurt offers a lot to its visitors. 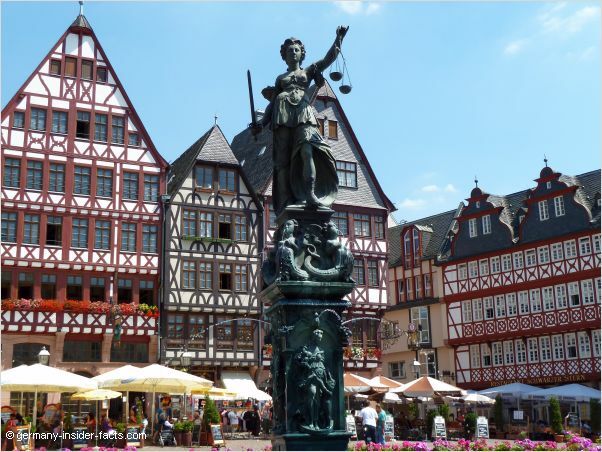 Find the top sights and attractions in Frankfurt on this page. The Schwabenmetropole (Swabian metropolis) is home of Daimler and Porsche, and a major industrial region. 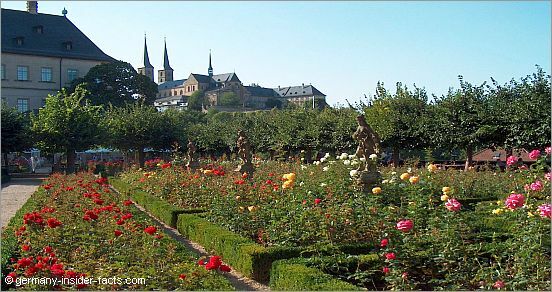 However, Stuttgart's location in Neckar valley, surrounded by hills, vineyards and forests, gives the city a green and lush appearance. Stuttgart offers a lot of charme to its visitors. 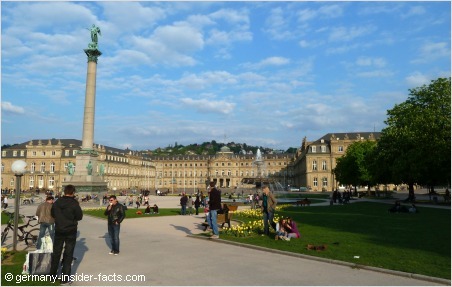 Schlossplatz with the new palace is the central meeting place in Stuttgart, while the Königstrasse (King Street) is a long pedestrian mall and shopping paradise. Germany's westernmost city is close to the Belgian and Netherland borders. Aachen is an ancient spa city, and an important place in German history. 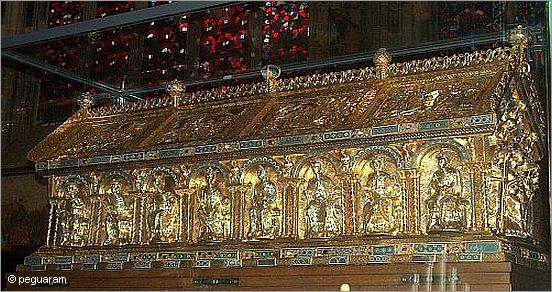 Aachen was the favourite place of Charlemagne (Karl dem Grossen) who built a palatine chapel in 792. The chapel was part of Charlemagne's residence at that time. It is now part of the Kaiserdom (cathedral). For 600 years the chapel was the church of coronation for German kings. 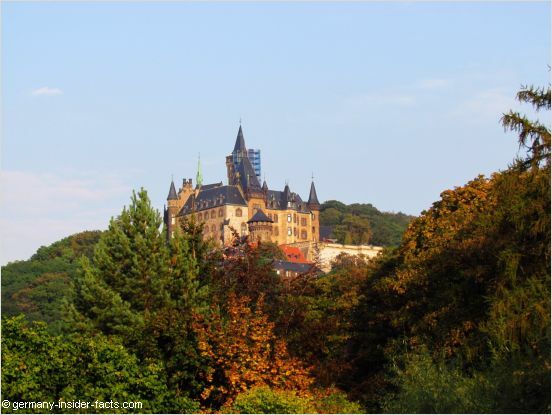 Aachen is place steeped in fascinating history. Freiburg im Breisgau is one of Germany's sunniest city, located in the southwest on the foothills of the black forest. Freiburg has one of the oldest universities, a lovely old city centre, and several malls. Freiburg is known as an eco-city. You'll see more bicycles than cars in the city centre. Stroll around this relaxed city, enjoy the outdoor eateries and the sunny weather. If I could choose, I would live in Freiburg. Read more about Freiburg Germany. 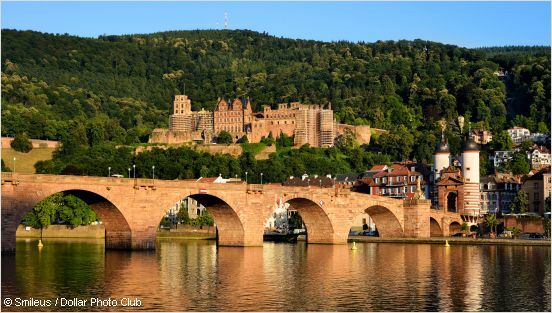 With its castle, the old town, and the beautiful location on the river Neckar, Heidelberg has been the epitome of German romanticism for centuries. Heidelberg's university is the oldest in Germany, founded in 1386. 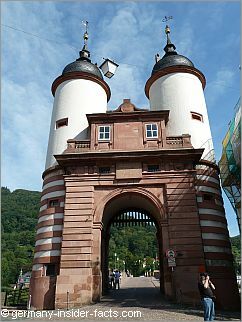 Explore Heidelberg's # 1 attraction, the beautiful castle. 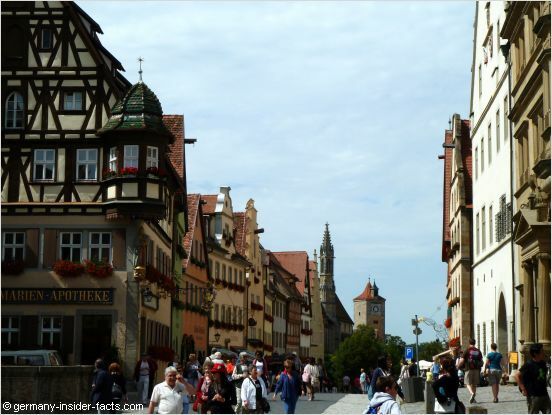 Like Rome, Bamberg has been built on seven hills which are part of the Steigerwald mountains. Bamberg is listed on the UNESCO World Heritage list for its authentic medieval appearance. Explore an ancient city full of flair. Take a boat tour on the river Regnitz to appreciate Klein-Venedig (Little Venice), a picturesque row of restored fisher houses along the river. Try the local specialty Rauchbier (smoked beer) in the Schlenkerla tavern where the beer is brewed. Discover Bamberg, the perl of old cities in Germany. 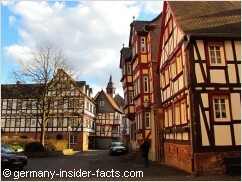 It is one of the best-known medieval cities in Germany, and loved by travellers from around the world. Stay at least one day/night in Rothenburg to discover all the hidden treasures. Late afternoon and early mornings are the best times to explore, before the busses with day-visitors arrive. 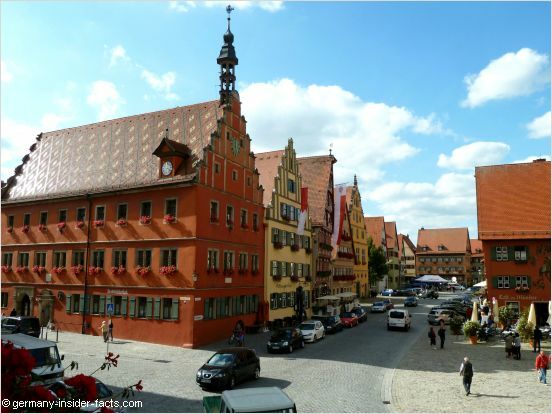 This beautiful medieval town is my favourite on the Romantic Road. The colourful houses, the fortification wall and towers are just marvellous. Like in Rothenburg ob der Tauber, you can join the night-watchman and discover the history and get insights about beautiful Dinkelsbühl. Colourful half-timber houses, narrow lanes, the famous city hall and the castle, these are the main attractions in this picturesque city at the northern edge of the Harz mountains. This historic city in the northeast of Baden-Württemberg is absolutely stunning. Visitors can explore so much in the city, beautiful old houses, the market square with the open-air staircase at St. Michael's Church, the scenery along the Kocher river. Discover the cities in Germany by train. It is stress-free, and a lot of fun. 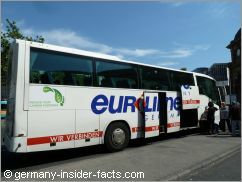 Activities and fantastic tours to many attractions start in major cities. Join a tour, relax, and enjoy the amazing sights. Accommodation is plentiful, you can choose from a wide range of hotels, holiday flats and guest houses. 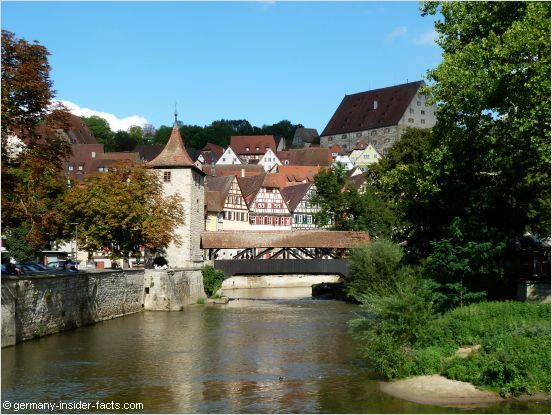 The first bridge over the Neckar was mentioned 1288 and build from wood. The stone bridge you see today was built 1788, destroyed during WW II, and reconstructed 1947. It is a landmark in Heidelberg. Jonathan Borofsky designed the kinetic sculptures series which can be seen in many cities around the world. 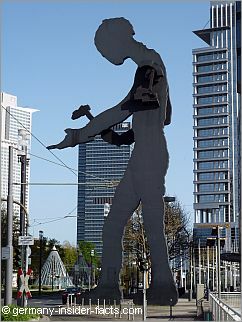 The 23 m Hammering Man in front of the Messe Tower in Frankfurt is one of the largest of the series. I always get the travel bug when I see ships in a harbour.